Busy Internet launched the JUMP online platform on March 30 to give a one stop shop to young people and growing entrepreneurs on reading materials that border on entrepreneurship, self-development, education and lifestyle. 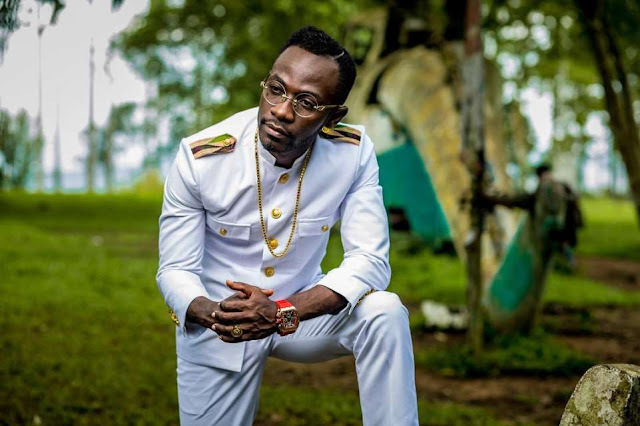 Rapper Okyeame Kwame known in real life as Kwame Nsiah Apau is one of Ghana's most celebrated Hip-life Artist. The "rap doctor" as he is affectionately called was a member of the defunct group Akyeame. As a solo act, his works include Bose Ba (2004), Manwesem (2008), The Clinic (2011), and The Versatile Show (201 2). His laurels are numerous, including the topmost award in Ghana music —VGMA Artist of the Year in 2009. Okyeame Kwame is one of the few artists in Ghana who makes branding his top priority and has even gone ahead to launch a book for his brand "OK" i.e. Okyeame Kwame. He pursued his Master's Degree in Marketing Strategy at the University of Ghana Business School and was recently honored by the CIMG after his presentation at the organization’s Continuous Professional Development (CPD) seminar under the theme: ‘Branding For Global Recognition'. Be Different: What it means is, study the status quo and something different which is is exciting and interesting, find a way of blending everything to make your approach different. Be Original: Draw from your cultural source, talk about things that are relevant to your community and audience. Don’t rap about profanity. Example if you live at Nima the problem is mosquitoes so rap about it. Be original, don't be like others. Be Consistent: No matter how inexpensive your videos are, make sure that whatever message you want to sell is there and we can see that in your videos. Association: You have to look like the job you want not the one you have. Associate with where exactly you want to go so you become an artist that has importance, choose a name from a place that people find important for example, Akyeame chose the name "Akyeame" because we saw that people didn’t like rap so we went to the court and palace where people have respect everything that goes on there, hence seeking inspiration to form the name "Akyeame". Choose a name like that. When you receive an award, like “the keys to a city”, if you have the opportunity, show it to Asantehene or the president. As an upcoming artist, find a rapper or a singer that you look up to and associate with him or her. If you meet an amazing presenter like Bola Ray, Kwame Adinkra, Andy Dosty take photos with them and share on your social media platform. Build an Army: Begin with your family, friends, church members, classmates, associates, and enemies. In everything you do, you're surrounded by them so build your army beginning with them. Stay in contact with them via phone or social media. Now set targets and work on getting it done, rent a crowd, convince your friends to come and watch you perform. After they praise you, onlookers will do same. Do not work hard, work smart: Working hard is for regular people, working smart is for winners. Working smart means paying attention to little details, once that is done, the big things will follow. Be Smart, when you have a plan walk through with it and execute. Okyeame Kwame is currently out with a new single Saucing featuring his kids Sir Bota and Shante.